The holiday season is always a time to reflect over the past year, and a time to be with family and friends. 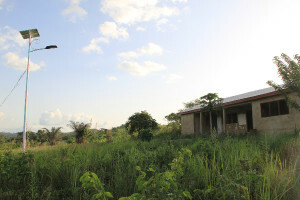 2014 was the biggest year yet for Rise Up Development Collective (RUDC) and the clinic project in Wli Todzi, Ghana, in every way possible: we have nearly finished construction on the clinic facility, and have been able to put two girls into midwifery school to help deliver newborns in the village. 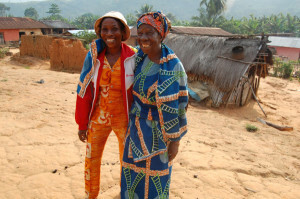 Most of all, though, our community around the project has strengthened and deepened – nearly every member of RUDC’s core team in the U.S. found a way to travel to Ghana and witness the Wli Todzi clinic’s construction in progress, and so many people have stepped up to support in unexpected ways on both sides of the Atlantic. This demonstration of commitment was incredibly inspiring for me personally and, I think, for other team members as well. I just got off the phone with our director Yaw Nutsugah in Ghana. He is in the capital, Accra, with his family – his mother, sister, brother, nieces, nephews, and friends. He has been working continuously for the past several weeks in Wli Todzi hauling tiles and plumbing equipment, overseeing the digging of a septic tank, and starting to install the clinic’s windows and doors. So much of the Ghana Clinic Project rests on his shoulders, although most of his work is distant to us here in the United States. However, through myself and others involved in the project he constantly hears about you, our community of support, and always tells us to send his greetings! In anticipation of the clinic’s imminent completion, we have started the process for two young women from Wli Todzi to begin attending a two-year midwifery program. Upon finishing the program, they will be able to serve Wli Todzi and the neighboring community by helping with child delivery and other basic medical services in the clinic. We thank Jan Swanberg and Ed Foreman, as well as Operation Groundswell, for their generous help in funding this effort. Coming into 2015, our next goal is to fully equip the Wli Todzi clinic. We are hoping to do this through a combination of sourcing equipment donations and fundraising. If you know of resources that you think can help, let us know! Thank you all so much for your continuous support, whether in the form of financial contribution, indispensable advice, or simply sincere well wishes! This entire endeavor would be impossible without you. I’m looking forward to a 2015 with so many fantastic people all over the world, collaborating to leave things better than we found them. If it’s been a while since we connected, please contact me – I’d love to catch up!